The relationship you share with your pet is a central part of your life - and the decision to humanely euthanize your beloved friend may be one of the most difficult decisions you ever make. Although heartbreaking to think about, we believe letting animals pass on without suffering is sometimes the kindest, most compassionate thing we can do for them. Do the bad days outnumber the good? It can help to mark good days and bad days on a calendar. Is your pet in a constant state of pain or discomfort? Can your pet control their bowels and urination? Is your pet able move around on his/her own? Is your pet eating or interested in food? Does your pet still enjoy their favorite activities? The decision to euthanize your pet is as individual and personal as you and your pet. Our veterinarians are here to help you make a decision, explain all the options and answer all your questions, but the decision to euthanize is always yours. You may want to include family members or friends who share a close bond with your pet when making this decision. If you are unsure or are uncomfortable with the decision, please let our veterinarian or veterinary team know. We are here to help you during this difficult time and help you assess your pet’s quality of life. We know the decision to euthanize can be excruciating, but sometimes euthanasia is the kindest, most selfless act you can offer your pet. We are here to help you make this difficult decision in any way we can, but no one knows your pet better than you do. We believe that euthanasia should be a peaceful experience. Our team will place an IV catheter, and your pet will be sedated so they feel no pain or discomfort at any point. We will explain the entire procedure, so there are no surprises. We understand the desire for your pet to be as comfortable as possible during this process. If it makes you and your pet feel more at ease, please ask us about at-home euthanasia. How lucky I am to have somethingthat makes saying goodbye so hard. Our doctors and compassionate team will discuss everything that euthanasia entails so that you are prepared and there are no surprises. We will discuss your wishes regarding your pet’s remains and explain the procedure of euthanasia. We understand how difficult of a time this is, and we do everything we can to treat you and the situation with respect and sensitivity. Once the decision to humanely euthanize has been made, we will place an IV catheter. We will then give an anesthetic agent to allow your pet to fall asleep calmly and gently. We will then administer a second injection that will allow your pet to pass on with no pain, suffering or discomfort. No drugs will be given away from you. You can remain by your pet’s side for as much or as little of the process as you wish. If you have any questions or concerns regarding the process, please speak with our doctor or another member of our Healthy Pets team. There are many ways to memorialize and commemorate your pet, and the choice is yours. As we believe that all pets deserve to be treated with respect and dignity, we have chosen to partner with Rainbow Crossing Pet Memorial Services. Many owners choose to have their pet’s ashes returned to them. Many people scatter the ashes in their pet’s favorite place. We can also offer an assortment of specialty urns for your pet’s ashes if you wish. 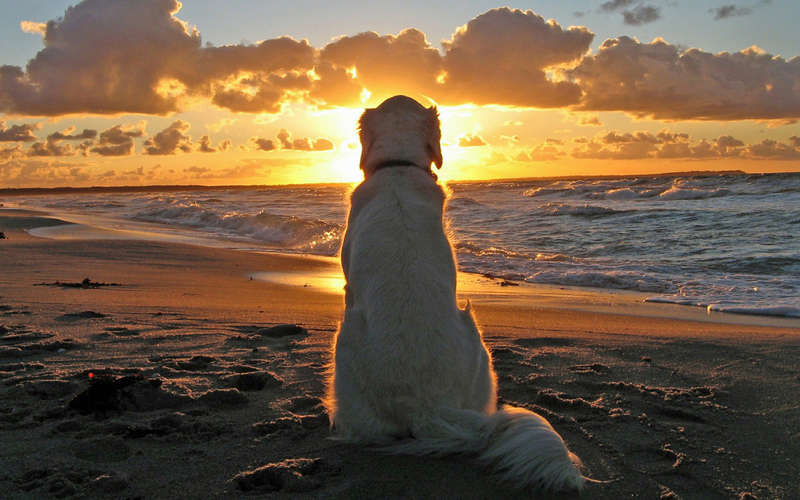 For those who do not wish to have their pet’s ashes returned to them, Rainbow Crossing will scatter your pet’s ashes at sea along the Florida coast. You may also want to consider planting a tree in loving memory of your pet through the Arbor Day Foundation. Our team will be happy to assist you in this process. The unfortunate truth is that there is not much we can say or do to alleviate the pain of losing a family member. But we are here to offer you support and listen to your concerns. We know that grief is a natural part of the healing process. The loss of a pet can make us feel sad, guilty, angry and alone. Please know that giving your companion a full and happy life at your side was the best gift your pet could have ever received and we want you to remember them with joy. For additional support, please consider contacting the ASPCA grief counseling hotline at (877) 474-3310 or the Tuft’s Vet School Pet Loss Hotline at (508) 839-7966.